Oberheiden, P.C. is a group of former federal health care prosecutors and experienced Medicare fraud defense attorneys who joined together to create a boutique law firm to help clients in health care fraud defense cases. Our team includes Lynette Byrd, a former federal prosecutor with experience in civil and criminal matters for the Department of Justice, and Dr. Nick Oberheiden, a defense lawyer for health care fraud cases nationwide who has frequently appeared on local and national news programs. Our lawyers have experience in Alaska and nationwide, and are eager to work for you and offer you and your company proven and sophisticated defense strategies to fight Medicare fraud allegations. While the federal government is large, the number of attorneys and investigators specializing in Medicare fraud is quite small. Because the line between an honest mistake and intentional or reckless misconduct, or between a civil investigation and a criminal one, is extremely thin, your lawyer’s past experience with the federal prosecutors and his or her reputation with those members of the government could make all the difference. In Alaska, Medicare fraud investigations are usually brought by the Office of Inspector General (OIG), the Department of Health and Human Services (HHS), The Department of Justice (DOJ), or the Federal Bureau of Investigation (FBI). These investigations may also include special state or federal health care fraud units, such as Medicaid Fraud Control Units, state Medicaid Agencies, and the Center for Medicare and Medicaid Services (CMS). Cases brought by any of these agencies my be prosecuted in Alaska either civilly or criminally. 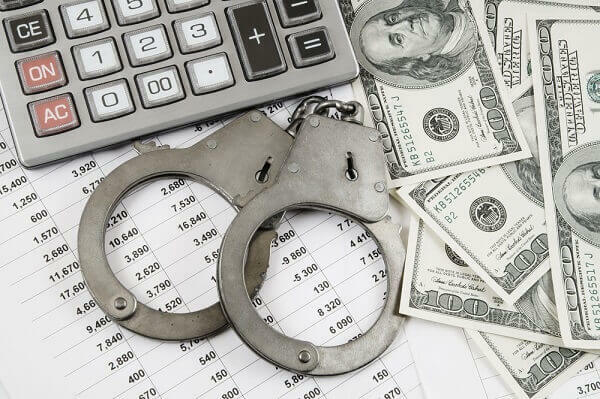 Criminal Charges: Criminal prosecutions of individuals are the largest and most aggressive health care fraud prosecutions brought by the federal government. In these cases, the government investigators may obtain search warrants, raid businesses and homes at night or in the early hours of the morning, often appearing with guns or SWAT teams, seize and freeze bank and investment accounts, haul away written and digital records, including health care records, computers, and files. Ultimately, the government will seek to secure indictments of the medical providers, owners, or health care executives. Of course, under the U.S. Constitution, all such cases must be proven beyond a reasonable doubt. Additionally, the accused has the right to an attorney, to a jury trial, and to not be subject to unreasonable searches and seizures. Ultimately, a judge or a federal jury will determine whether or not the government has met its heavy burden by considering the prosecution’s evidence and arguments as well as any evidence or arguments the defense elects to present. A criminal health care fraud conviction can carry a prison term of up to ten years per count, as well as large punitive fines. Civil Liability: Other times, the government may decide to pursue its health care fraud case civilly. These cases need only be proven by a preponderance of the evidence. If found liable, the defendant may have to pay recoupment of moneys received from federal health care programs as well as a fine of up to $11,000 per false claim and treble damages. Additionally, the defendant may be subject to non-payment of future claims or excluded from future participation in federal programs all together. Finally, he or she may have to pay the government’s lawyer’s fees. Civil liability is most often sought against corporate defendants, but can be directed towards individuals as well. With the lower burden of proof, these cases do not require the government to prove actual knowledge of an unlawful transaction or any specific intent to violate the law or defraud the government. Oberheiden, P.C. prioritizes avoiding indictments, criminal prosecutions, and incarceration. We are often able to avoid charges for our clients even after an investigation has already begun. Our legal team includes several former federal health care fraud prosecutors. We have frequently been able to use their insights to convince the government that what appears to be health care fraud is, instead, the result of a plain human mistake that does not support criminal prosecution or even a civil investigation. We have successfully concluded OIG and grand jury investigations into physician syndications, health care businesses, medical providers, and business owners and entrepreneurs, without criminal prosecutions. Because of our depth of experience, we know that the sooner an attorney is hired for the defense by the subject or a potential target of a federal health care fraud investigation, the more likely the person or company is to ultimately avoid any criminal charges. Successful Defense of a Health Care Business against an Investigation by the Department of Justice and the U.S. Attorney’s Office for Alleged Medicare Fraud. Successful Defense of a Health Care Business against an Investigation by the Department of Health and Human Services for Alleged Medicare Fraud. Successful Defense of a Health Care Business against an Investigation by the Office of Inspector General and the FBI for Alleged Medicare Fraud. Successful Defense of a Physician against an Investigation by the Office of Inspector General for Alleged Medicaid Fraud. At Oberheiden, P.C., we have defended hundreds of health care fraud cases. In so doing, we have discovered that most fraud allegations result from negligence, lack of supervision of staff, unreliable employees, or uncertainty about the meaning of the health care regulations, which are constantly changing. The law is clear on this matter: while civil liability may be found even for simple mistakes such as these, a criminal conviction can never be based solely on an unintentional mistake under the requirements of the U.S. Constitution. Oberheiden, P.C. has repeatedly assisted our clients to avoid criminal charges by convincing the government that the required criminal intent simply wasn’t present. To us, every case is an emergency, because it is an emergency for you. We begin working for you the moment we are retained, and continue working non-stop to protect you and your business. Within a few days, and sometimes a few hours, we can usually answer your most pressing and important questions, including: How can I prove my innocence? What is the likely outcome of my case? What is the range of outcomes? What is the government looking for? What is the subject of the investigation? Is there a chance I might go to prison? Only after we have answered these preliminary questions can we begin to work out the most effective strategy for your defense. If you believe or have been told that you are under investigation, prosecution, or audit by the federal government, or if you would like to ask questions in a free and confidential setting, contact the experienced attorneys at Oberheiden, P.C. today. You can reach one of our senior attorneys seven days a week, including weekends.